Maggie James is a British author of Psychological Thrillers currently living in Bristol, UK. Besides her love of writing she also enjoys travelling, yoga, healthy food and adores animals. She kindly agreed to do an interview with Kathryn Bax for One Stop Fiction. For people who don’t know you, who is the real Maggie James? Good question - I’m still getting to know her! I think understanding oneself is a lifelong process, and I’m forever changing who I am. I’m unrecognisable now from how I was in my twenties in terms of my personal beliefs, for example. I guess that’s not unusual; we’re meant to grow and develop as we move through life. Having said that, I’m also revisiting what mattered to me as a child: writing, reading extensively, yoga (yes, I did yoga as a kid, and took it up again four years ago). I’m very much an introvert and I need plenty of time alone, although I do enjoy socialising. The older I get, the more spiritual I become, although it’s not a term I care for. I’m much more open now to such matters, though, whereas before I used to dismiss them. I’m very logical and left-brained, so some aspects of spirituality are hard for me to get to grips with. It’s a work-in-progress, that’s for sure. Maggie, I have to say that having read Blackwater Lake and thoroughly enjoying it, it has spurred me to want to read more of your work. 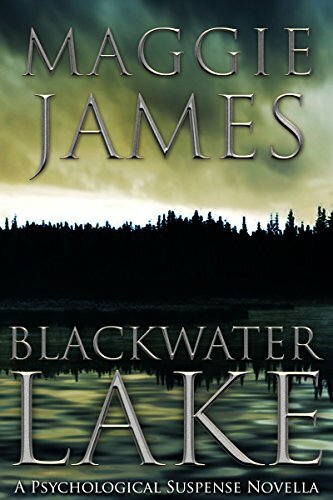 When you wrote Blackwater Lake did it start its life as a novel and end up as a novella, or was this a deliberate marketing ploy? I ask this, as the book is now permanently free on Amazon and elsewhere. Yes, I wrote Blackwater Lake as a novella in order to provide it for free across all sales platforms. My idea was to offer readers a sample of my work, so they could discover if they liked my fiction. I really enjoyed crafting this book, meaning it’s one of my favourites. It was fascinating to delve into hoarding and what drives such behaviour. I also enjoyed writing shorter fiction for a change, although my natural inclination is towards full-length novels. From what I have read your plan and plot your stories in great detail. Does this take a long time to do, how do you execute this and would you ever consider being a pantser? I try to plot in detail but so far each time I get so far into it and then feel the urge to start writing. Often certain plot nuances don’t reveal themselves until I draft the novel anyway; sometimes I only discover something is wrong when I try to fit it into my writing and it doesn’t work. I plot using the Snowflake Method, although I don’t use all the steps. I’m currently reworking one of my novels, though, and I’m using K. M Weiland’s Story Structure for the first time. I don’t think I could be a pantser. It works well for some writers, but I suspect I’d end up with a huge mess that would take forever to transform into a coherent novel. One of my friends describes himself as a ‘plantser’, somewhere between the two extremes, and I guess I am as well, although I always intend to plot further than I ever do. I’m a plotter by inclination, a plantser in reality. You treat your writing as a business and as a result you have been very successful at selling your books and earning a good living from them. However, more than that, you have managed to create a good balance in your life between writing, marketing and having a social life. Can you share with us how you go about this and also, can you tell us more about your fortnightly business meetings that you hold with yourself? Well, at present my halo has slipped – my work/life balance is very much out of kilter! I do strive to draw a line between writing and other priorities; usually I don’t work in the evenings or at weekends, and I stick to regular office hours. That went out of the window recently while I edited my latest novel After She’s Gone. The deadline was tough and everything else got sacrificed to the need to meet it. 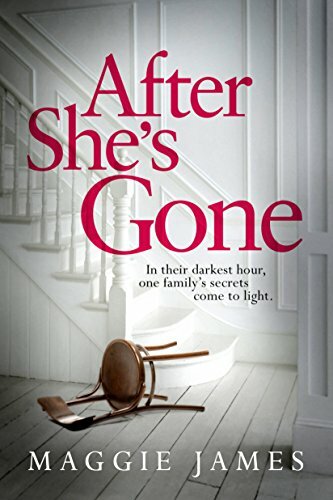 2016 has been a busy year overall, what with revamping His Kidnapper’s Shoes for republication by Lake Union (launch date: November 15, 2016) and delivering my fifth novel, After She’s Gone, to them. I need 2017 to proceed at a gentler pace, although I suspect it won’t! My regular business meetings took a hit partly through the need to edit After She’s Gone, but I intend to resume them, perhaps monthly from now on. I spend time reviewing my sales, deciding future marketing strategies, and considering where I want my writing career to go. So far it’s worked well, and I’m also planning on ending 2016 with a blueprint for the year ahead. You studied to be an accountant but gave it all up to be a full-time writer. Do you ever regret this decision? No, never. Not even for one second. I won’t pretend it’s all been easy, because it hasn’t. The thought of still working in finance sends shudders through me, however. I was stale in my role and annoyed with myself that I wasn’t writing novels, when it was all I’d ever wanted to do. I’ve learned so much in the six years since I left employment and I’ve met some wonderful people. Much better than churning out sets of accounts! And my financial background has proved useful in running my business. Congratulations on your recent publishing deal with Amazon’s imprint publishing company Lake Union. As someone who has always been a self-published author what was the decision behind signing up with them? Would you not be signing away a lot of your royalties with this deal, and if so, what are the perks that balance this out? I’m still slightly bemused by the whole thing, because I firmly believed I’d never sign a publishing contract. I’d already turned one down, albeit for the non-fiction books I had on offer at the time. Amazon approaches things differently, however, and I’ve no regrets about signing with Lake Union. I can’t disclose the details, but their terms are a world away from the contracts offered by traditional publishers. In addition, I get the mighty marketing muscle of Amazon behind me, and those guys know a thing or two about selling! I did consider the offer carefully, though. Before I accepted it, I contacted another Lake Union author to ask about her experience of publishing with them. She was overwhelmingly positive in her response, and so far I am as well. They are tough taskmasters, but they’ve been great, and I’m learning so much from the experience. Where do you get your ideas for your books? 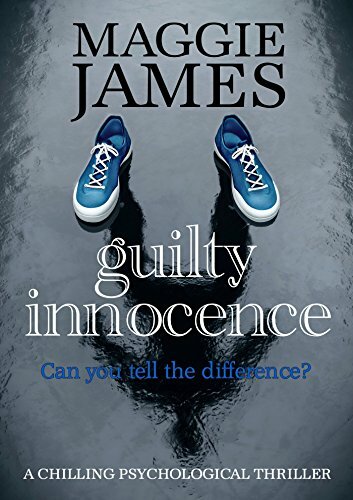 Was the story of Guilty Innocence, for example, loosely based on the James Bulger case, or was this a story from your imagination? Ideas can come from any source – conversations I have, news items I read, or perhaps television programmes. For example, the inspiration for Blackwater Lake came from some documentaries on compulsive hoarding. As someone whose home is minimalist, this was ‘must see’ viewing for me! I started to wonder: what if the clues to a crime were buried deep within such a hoard? What if the crime itself had resulted in this obsession? And so Blackwater Lake came into being. Guilty Innocence, despite appearances, isn’t based on the James Bulger case. Instead, the inspiration started with a question: how would it feel to discover someone you loved was hiding a criminal past? That led me to consider what sort of crime would be the worst possible one to uncover, and the answer came back as child murder. Then I hit on the idea of the killer being involved in the crime while still very young himself. Bullied by a more dominant and darker character, Mark has little choice but to go along with the brutal murder. That part is similar to the Bulger case, but only accidentally. I’m not sure I’d feel comfortable basing a novel around a real-life crime, especially one so shocking. Some of your characters are really dark, even psychopathic in their make-up and the families they come from are fairly dysfunctional. What sort of research do you do for characters that are as dark as this? I’m interested in human psychology, so anything dark and twisted provides great material for my novels, provided it’s not too warped. I have my limits - I gave up on reading a novel recently because the events were just too gruesome for me. My characters are often driven by sad pasts, such as Laura in His Kidnapper’s Shoes or Dominic Perdue in The Second Captive. Sure, they’re dysfunctional, but their unhappy lives have shaped them that way. I love to examine what makes these people behave as they do, often without regard for the effect their actions have on others. As for what research I do, I draw on my observations of human nature. Bad behaviour is all around us and examples are never far away. Now that social media is so prevalent, I use it to gauge public reaction to crime and psychopathic acts. Other than that, I employ the usual research channels: books, the internet and talking with those in the know. Do your characters stay with you long after you have finished writing and which character has had the most impact and why? By the time I publish a novel, I’ve lived and breathed it for months, meaning it’s a relief to release it into the world and move on. It’s great to start planning another book soon after the last one – a literary form of palate cleansing! 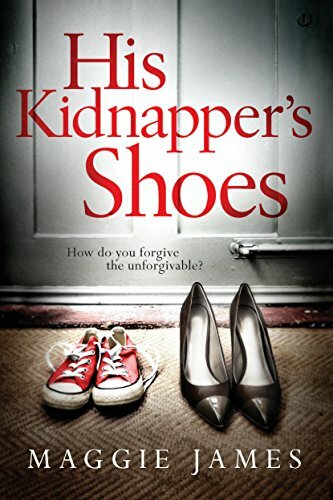 As for which character has had the most impact, I’d say either Laura Bateman from His Kidnapper’s Shoes or Beth Sutton from The Second Captive. Why Laura? Well, partly because she led to my Lake Union contract, but also because she was my first experience of creating such a tormented character – a huge learning curve for me. Beth was fascinating to write due to the research I did into Stockholm syndrome. For those of us lucky enough never to have suffered that way, it can be hard to comprehend how someone can love their abuser/abductor. I’m no different. Logically I can grasp how it happens, but on another level I struggle with the concept. I had to get inside Beth’s head to understand how she succumbed to Dominic Perdue’s warped ideas. Even then, I decided not to make her fall completely in love with him, the way many victims do. For some reason, that didn’t feel right, and would have taken the book down a different path. Sometimes we authors need to follow our gut instincts with these things. However much she’s subjugated by Dominic, Beth retains a fierce determination to escape. You have travelled quite extensively. Do you do so for researching your books or do you do so just for pleasure? What is it about visiting different countries that interests you, and if you didn’t live in the UK where else would you consider calling home? All my travelling is done for pleasure, and I can’t imagine mixing it with research. That may change one day, as I have plenty more wonderful places on my bucket list! I’ve always had a bad case of wanderlust and indulging it has served to strengthen, rather than quench, my desire to travel. I love visiting historical sites, seeing amazing scenery, sampling different cuisines. And I travel well – I enjoy long hours on buses, trains and planes. It’s all part of the fun! I did try living in Australia a long time ago, but it didn’t work out and I’ve often wondered whether I headed back to the UK too soon. I’d be interested in calling any of the following countries home: America, Canada, Costa Rica, Panama or Italy, possibly Bolivia as well. That country has enormous emotional significance for me, as it’s where I finished the initial draft of His Kidnapper’s Shoes, my first novel. You seemed to have achieved so much with your writing. What is your next ‘Everest’ to conquer in the writing world? Hmm, good question! I’d like 2017 to be a year of consolidation, building on what I’ve achieved so far and cementing it into place. This year has been hectic and I need some time to catch my breath! I’m aiming to get all my fiction into audiobook format and translated into other languages, primarily Spanish, so that’ll keep me busy. I’ll do one of my planning sessions in December to chart what I’d like to achieve in 2017 and beyond. What advice would you give new authors who are just starting out in their writing careers? Be as professional as possible, and treat it like a business, because that’s what it is. Get the best covers you can afford, pay for editing as soon as you have the money (it’s not cheap!) and don’t be cavalier about spelling, grammar and punctuation. Start early with setting up your website and social media profiles; that way you can build interest in your novel as you go. Learn as much as you can about book marketing and talk with other authors to discover how they do things. There’s no one right way, however. Be prepared for your writing life to be fun, but much harder than you can ever imagine! 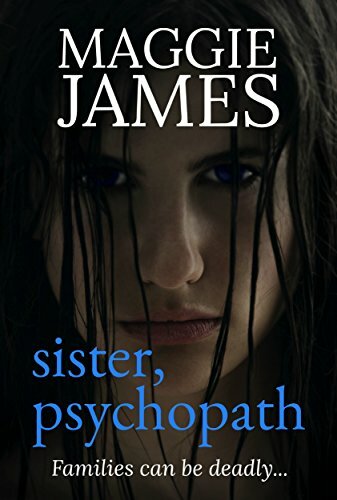 Read this psychological suspense novella for free! When they were children, Megan adored her younger sister Chloe. Now she can't bear to be in the same room as her. When Natalie snoops through her boyfriend Mark's possessions she finds more than she bargained for. Mark was once convicted of a brutal killing. Heartbroken by what she has discovered, Natalie's dreams of a future with him collapse. Eighteen-year-old Beth Sutton is abducted and held prisoner in a basement. Dependent on her captor for everything, Beth slowly starts to build a relationship with the man responsible for her imprisonment. Lori Golden's family have had more than their fair share of troubles. But through it all, Lori and her sister, Jessie, have always supported each other. Then Jessie is killed. And Lori's world turns upside down. 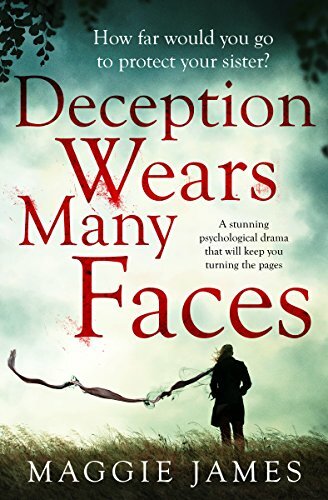 Looking for a psychological thriller which will keep you turning the pages? 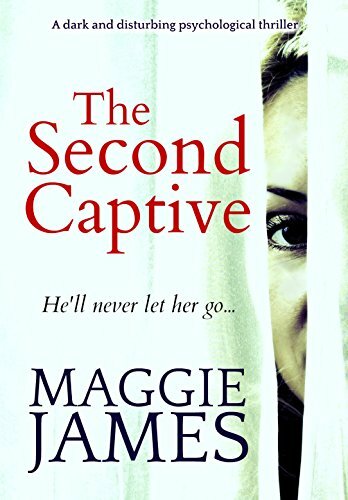 Best-selling author Maggie James is back with a stunning new thriller full of twists, turns and intrigue. When Lyddie takes her sister to Devon to recover after a recent suicide attempt, it starts a train of events that will put their lives in grave danger.